Preventive healthcare is fast emerging as the most viable means to cut healthcare costs, making the market for preventive healthcare technologies and services a rapidly developing one. 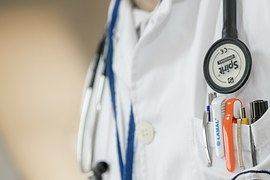 Transparency Market Research, in a report titled “Preventive Healthcare Technologies and Services Market - Global Industry Analysis, Size, Share, Growth, Trends and Forecast, 2014 - 2020”, states that the global preventive healthcare technologies and services market will expand at a 9.70% CAGR from 2014 to 2020, with its value rising from US$72.8 bn in 2013 to US$144.8 bn by 2020. The market for preventive healthcare technologies and services is largely driven by the rising public awareness about vaccination and disease management, constructive government policies aimed at the development of healthcare IT, technological upgradation, and growing demand to reduce healthcare costs. The report indicates that a revised cost structure for the healthcare markets in emerging economies is an opportunity worth capitalizing on. However, lack of patient engagement activities, impeding the adoption of preventive healthcare technologies, and high installation and maintenance costs threaten to impede the growth of the global market. The global preventive healthcare technologies and services market is geographically divided into North America, Asia Pacific, Europe, and Rest of the World. North America is the largest as well as the fastest developing regional segment and is fueled by supportive reimbursement policies, growing awareness about preventive healthcare technologies, and the presence of several leading players. Being a global IT hub has also worked in favor of the North America preventive healthcare technologies and services market. The Asia Pacific and the Rest of the World regional markets, on the other hand, are anticipated to witness sluggish growth during the forecast period owing to the lack of supportive infrastructure that can help support preventive healthcare technologies and services.